Audubon Park Elementary is a new K-8 school beiing developed for the Audubon neighborhood in Orange County, Florida. The new construction incorporates 165,608 square feet and sits on 13.25 acres in the Orlando Community. The project called for the rebuilding of the school while maintaining sports fields and left no room for traditional above ground stormwater retention ponds, making underground storage necessary. The narrow vertical dimension from the water table to finished grade required a solution that maximized storage volume. 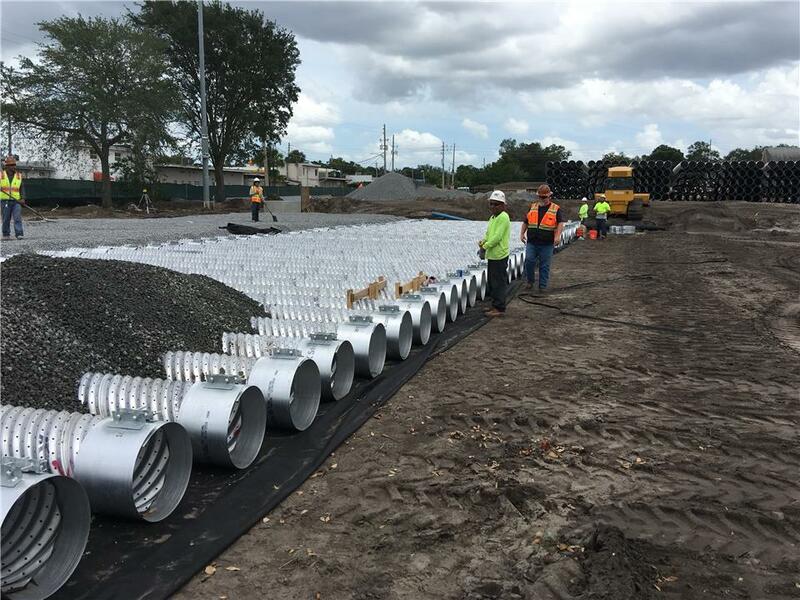 Contech Stormwater Design Engineers developed a solution utilizing perforated corrugated metal pipe. 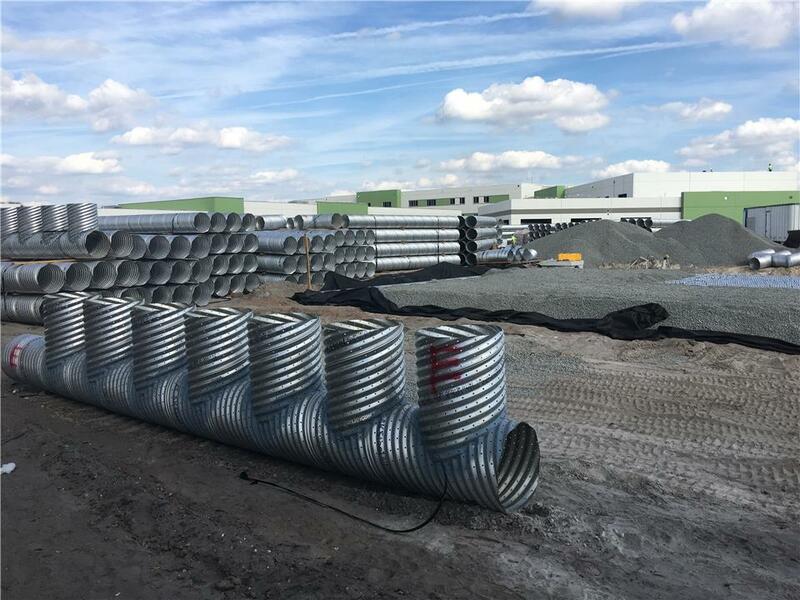 The design combined the design attributes of minimum cover (12”) and no base stone requirement to increase the diameter of the pipe for the best possible storage efficiency. In addition, this solution saved significantly on construction stone volume and therefore cost. The configuration of the site necessitated the need for separate underground detention systems. The first system is located under a baseball field. The system includes 18" perforated ALT2 using a single header and 76 rows of pipe in various lengths to match the rounded outfield fence. A single manifold is placed on the northern end; bulkheads on the southern end. The system provides 34,814 cf of storage. The second system is located under the driveway to the east of the building, utilizes a double manifold, and contains 3 rows of 24” perforated ALT2 CMP. This system provides 3,767 cf of storage.The third system is located under a soccer field, uses a double manifold, and 46 rows of 24” perforated ALT2 CMP. This system provides 126,522 cf of storage. Combined, the three systems use 29,000' of 18"-24" perforated CMP providing 165,103 cf of storage. Contech provided on-site construction oversight during installation at key milestones to ensure proper installation.